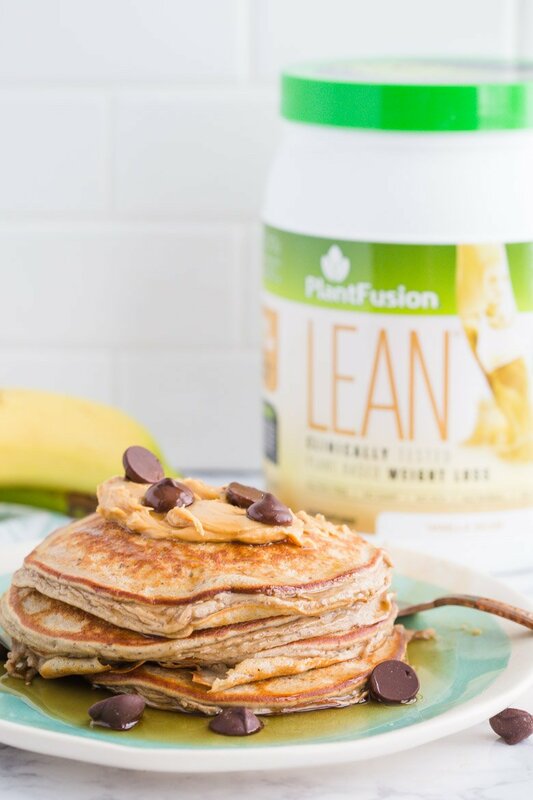 Thanks to PlantFusion for partnering with me and sponsoring this post. I’ve used their plant based protein powders for the past year and truly love them! Have you recovered from Christmas yet!? I think for the first year ever, I’m genuinely ready to put aside cakes, and chocolate, and alcohol, and eat some good, wholesome foods again. All of the celebrating was truly wonderful but MAN is my body feeling it. Then again, maybe I’m just getting old. I’m also recovering from the stress of the past week. While attempting to relax on Christmas eve (I’m not very good at relaxing), our carbon monoxide detector went off and we spent a few hours sitting at our neighbors house (thank goodness for amazing neighbors!) waiting to figure out what was going on. Long story short- we needed a new HVAC unit. That was unfortunate– and expensive. Then we got home that night and all of the electrical units in the kitchen were mysteriously not working (including the one powering the fridge). Mr. Britnell ran a power cord into the kitchen so all our food didn’t go to waste and then we managed to get it figured out the next day. Needless to say— my relaxing holiday break has been far from relaxing. I’ve been stress eating ALL of the chocolate that santa left in my stocking (and it was a LOT!). So, I’m starting out my new year healthy eating habits early with these protein pancakes featuring PlantFusion protein powder! 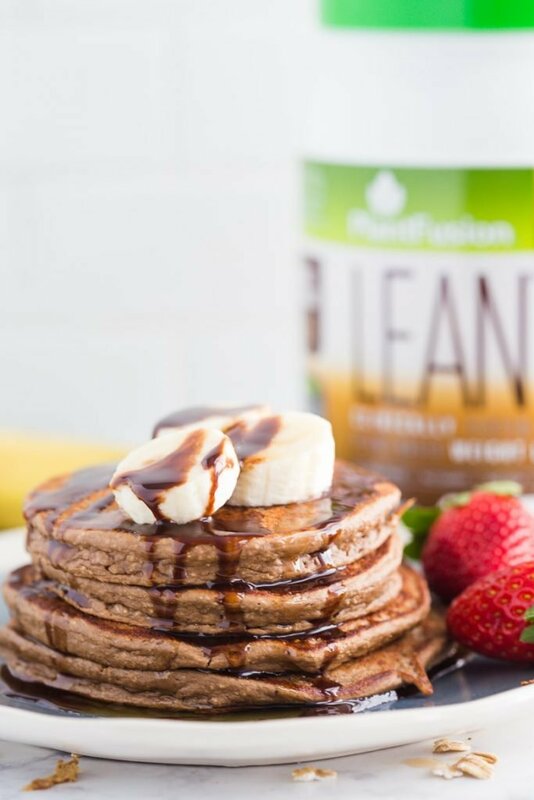 I first tried PlantFusion protein powder last year after getting a few samples from them at a health food expo that I attended (you can see all my vlogs from that trip HERE!!). Then I saw the protein powder for sale at my local Whole Foods and picked some up. So when they reached out about partnering together, I was super excited! I’ve found it difficult to get enough healthy protein in my diet lately. Between breastfeeding and just generally be busy, I’ve found it more important than ever to eat a good, balanced diet. And for me, protein is always something that I struggle getting enough of. 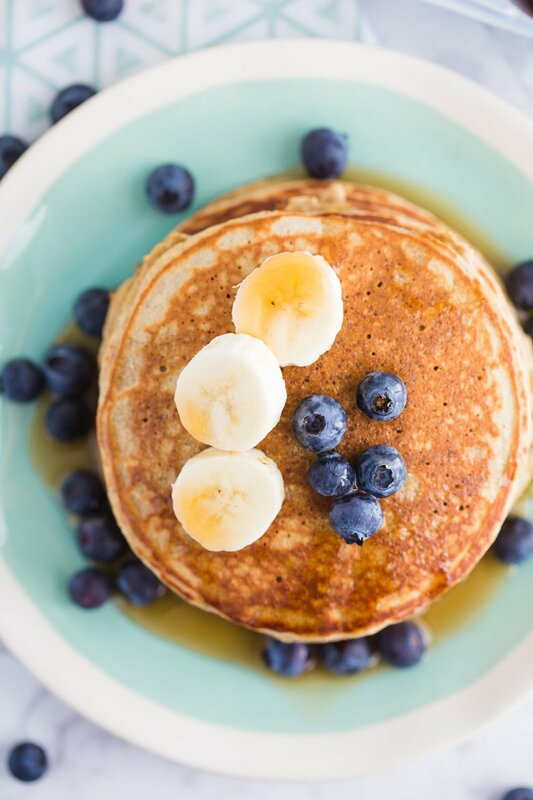 I’ve been making several versions of these pancakes for years. It was one of the first recipes I ever shared on my blog. But since then, I’ve experimented quite a bit with the recipe and found new, delicious ways to making these pancakes. AND, that’s what we have here today! 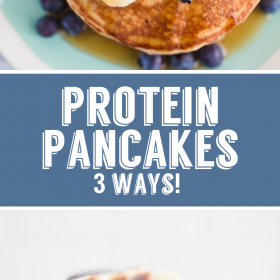 THREE different ways to make these Healthy Protein Pancakes. The main difference is WITH oats or WITHOUT oats. Personally, I prefer these with the oats. 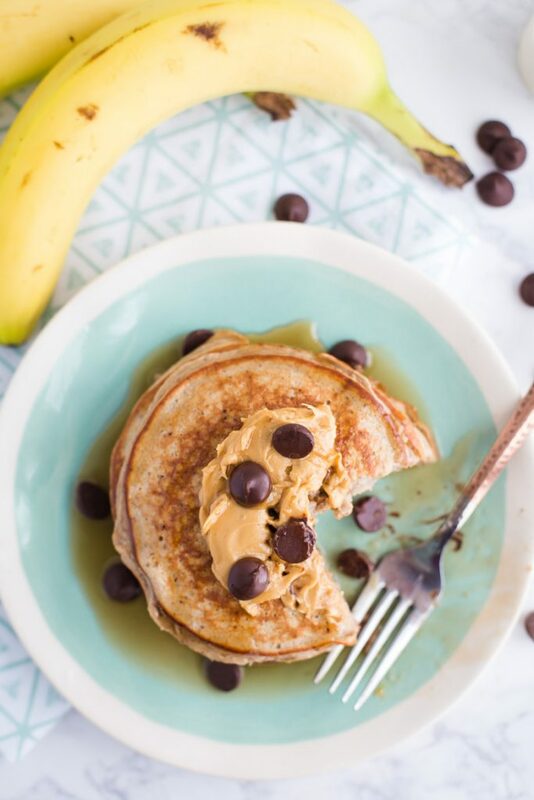 It makes the texture more true to regular pancakes and they just generally taste a bit better to me. 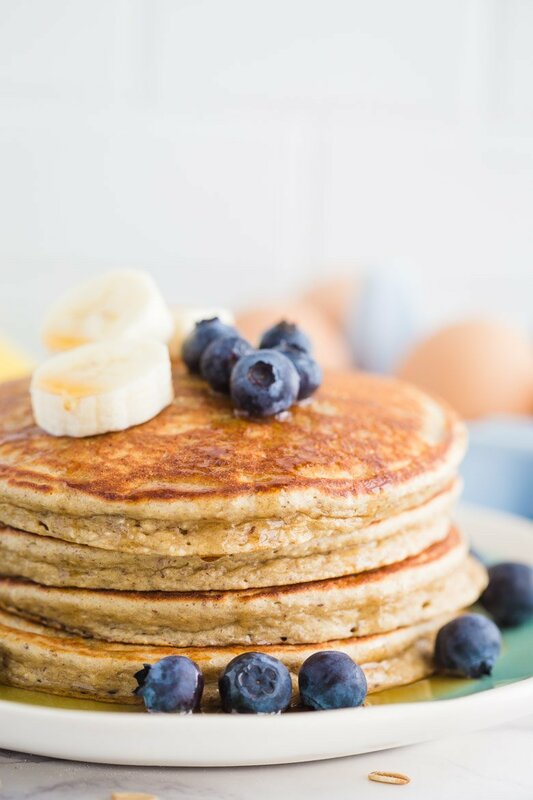 BUT, the oat-less pancakes are pretty darn good too and super simple with only 4 main ingredients: banana, protein, egg white, and flaxseed meal. 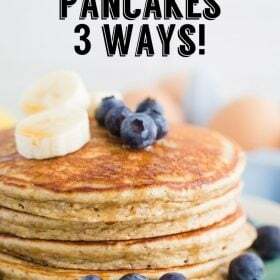 The recipes makes enough for one large breakfast or a medium breakfast for 2. BONUS: they freeze GREAT so it’s perfect for meal prep! I highly suggest tripling the recipe and making enough of these for freezing and enjoying in the future. 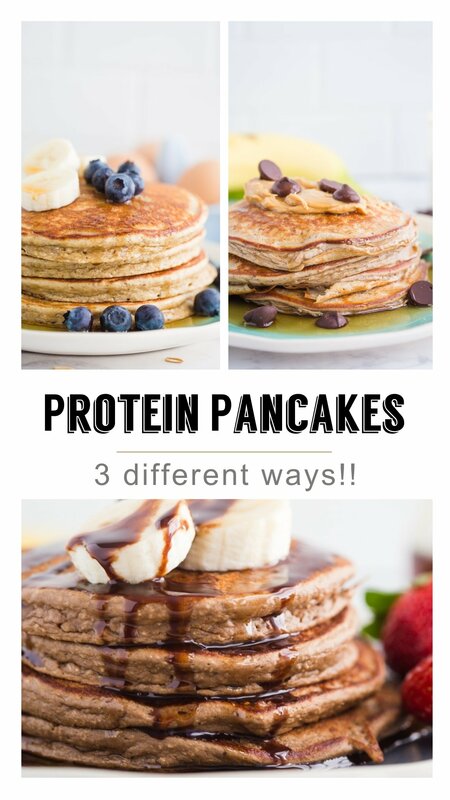 These are the “original” protein pancakes that I used to make all of the time. They’re super simple and clean. I use a blender to whip up a big batch BUT you could easily stir these together in a bowl; mashing the banana with a fork. 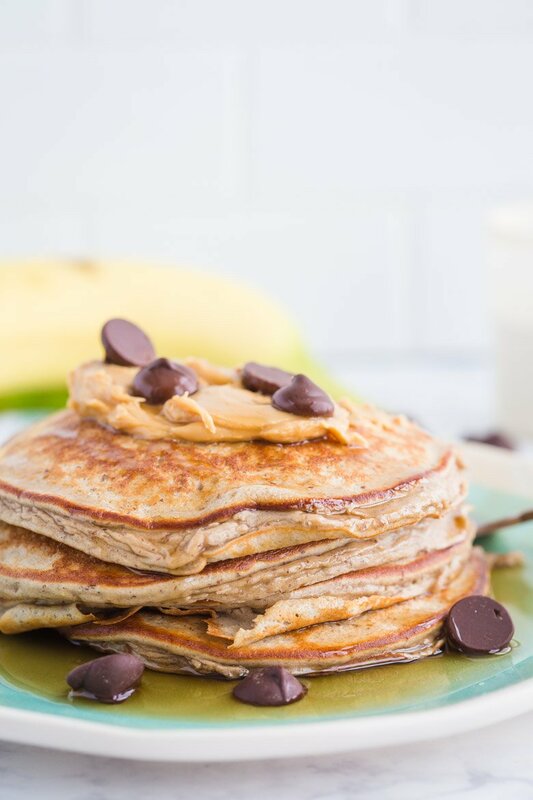 Add any of your favorite fruit, nuts, or chocolate chips to spice these up a bit! These are similar to the original but with egg yolk AND oats added in. I LOVE the addition of the oats and high recommend giving it a try! 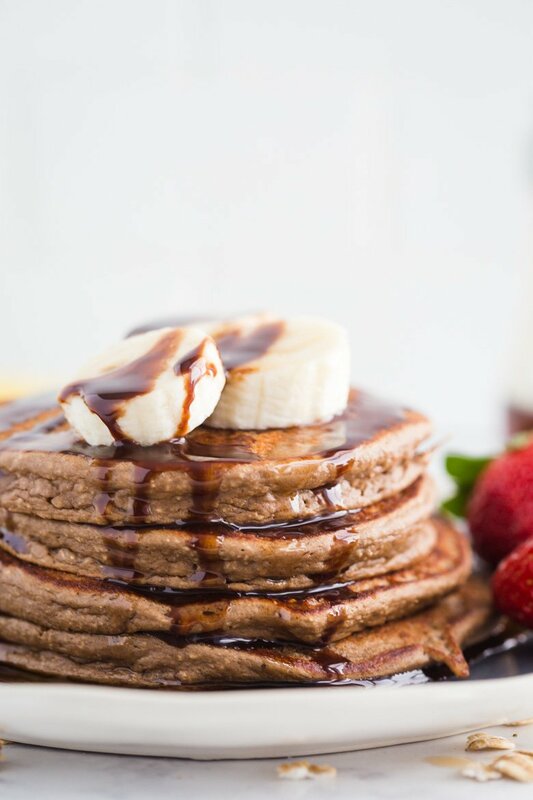 These are pretty similar to the oatmeal protein pancakes but with a bit of cocoa powder in them and chocolate protein powder instead of vanilla. Kind of obsessed with these!! AND that’s all I have for you today! Thanks again to PlantFusion for sponsoring this post! And thank YOU for supporting the brands that support my blog! For a limited time, PlantFusion is giving away a free sample pack + shaker bottle every week for the next month!! You can enter the giveaway HERE! But if you don’t want to wait to win, you can order a PlantFusion $10 sample kit HERE.